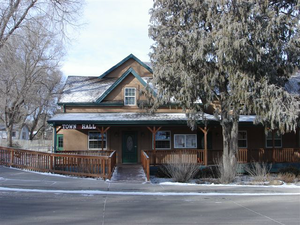 Find homes for sale in Elizabeth, Colorado. The Elizabeth real estate listings below are the most recent homes in the Elizabeth community to hit the market. Our Elizabeth list of homes includes the newest homes listed on the Elizabeth MLS database for homes for sale in Elizabeth, Co.
Elizabeth, Colorado rests quietly between Franktown and Kiowa, only 40 miles from downtown Denver. The town of Elizabeth is a community with agricultural roots and a suburban future. It has been in existence as a small, stable community since the late 1890s. The Town is sited at an elevation of 6,530 feet and is set in a unique pine forested area. Elizabeth has been recognized as Tree City USA by the National Arbor Day Foundation. Residents can enjoy shopping through antique, toy, and vintage clothing stores on Main Street. Nearby Castlewood Canyon State Park is a popular recreation spot. Located in the famous Black Forest, the park offers excellent opportunities for hiking, rock climbing, and bird watching. For more summertime fun, attend the annual Elizabeth Stampede, featuring a town parade, rodeo, and antique car show. There is plenty to do in Elizabeth! See below for the latest homes for sale in Elizabeth or call today to begin your search!